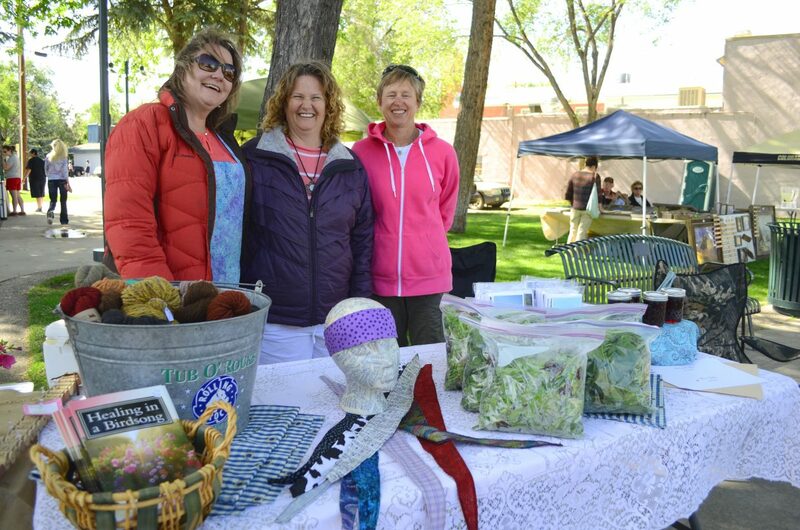 From left, friends Jennifer Stagner, Lorrae Moon and Kim Thompson display their many offerings at Thursday's farmers market in Alice Pleasant Park. The weekly summer event recently started again and will continue in the following months, as will other happenings in downtown Craig. — The market features booths from local vendors providing home-grown produce, specialty foods and household crafts and more. Many downtown businesses will keep longer hours on Thursdays, as well, as part of the returning Do It Downtown program. For more information on the market, or to sign up for a spot, contact Bob Grubb at 970-620-4243. Summer is officially here and for many Craig residents, that means heading downtown for the weekly farmers market. Thursday marked the opening day for the seasonal event, with many vendors bringing out sales items like homegrown vegetables, jars of artisan honey or pieces of woodworking. As with many years past, the first week was a little on the slow side, with breezy weather making things difficult for those with their inventory on tables. Lorrae Moon, Jennifer Stagner and Kim Thompson also were clad in jackets in case the climate dropped a little more. Even so, they were still in good spirits, hawking products like garden fresh spinach, jars of jelly, yarn and more spread across a pair of tables with plenty of variety. The atmosphere is part of the experience, even if business isn’t booming, the three said. “It’s just great to be out here, enjoying the day with friends,” Thompson said. Another booth featured the goat’s milk soaps by Chrissy Winters through Winters’ Blessings, as well as Cameo Wilson’s table with vegan beauty products from supplier Arbonne. “It’s been great for us,” Wilson, said of the market, adding that she expects a little calmer weather will make the following weeks even better. Organizer Bob Grubb said this is to be expected as the community gets back into the swing of things and more vendors set up shop. “We should be getting more people soon,” he said. Tied in with the farmers market’s Thursday hours, the Downtown Business Association will bring back the Do It Downtown initiative, with shops open until 6 p.m. that day of the week. Combined with the Locals Love You More Downtown contest, Nadine Daszkiewicz, owner of The Kitchen Shop, said she expects to see an increase of foot traffic in that part of town. 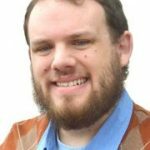 Perhaps there won’t be a huge uptick in the number of people, but little by little things like the farmers market and Do It Downtown will continue to gain popularity as organizers continue to expand with more ideas, one immediate one being the Pop-Up Gallery scheduled later this week to showcase local artists. “People really seemed to get into (coming downtown) by the end of last summer, so we just need to keep at it,” she said. Contact Andy Bockelman at 970-875-1793 or abockelman@CraigDailyPress.com.